November 2016 marked the 25th Anniversary of the announcement by Diamet Minerals in November 1991 that they had discovered some microdiamonds in the vicinity of Lac De Gras, NWT. That discovery launched the world's largest traditional (on the ground) staking rush, and the subsequent exploration investment resulted in the discovery of many previously unthought of diamond deposits. 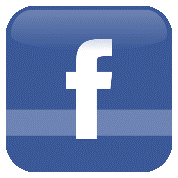 To date, the economics of several of them have resulted in our operating mines. 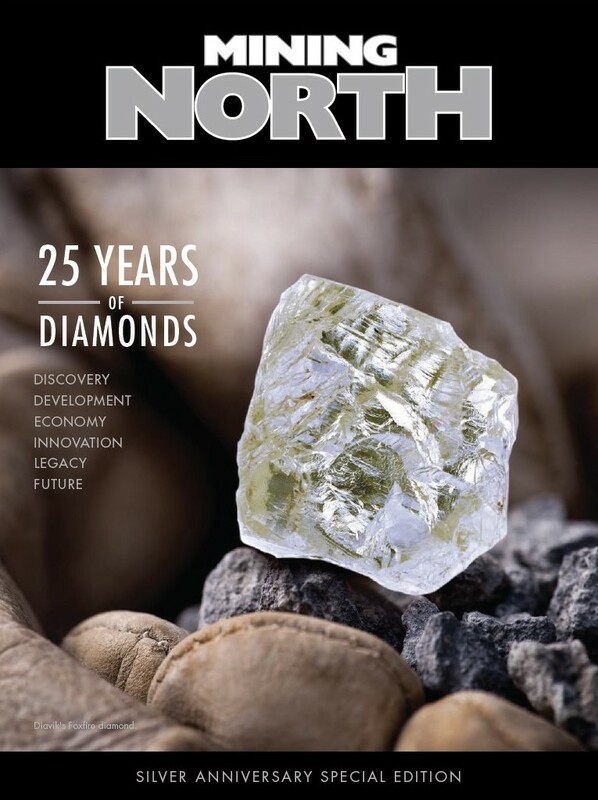 The 25th Anniversary was celebrated with a Silver Anniversary Special Edition publication, 25 Years of Diamonds, describing the many positive impacts of 25 years of NWT diamonds. 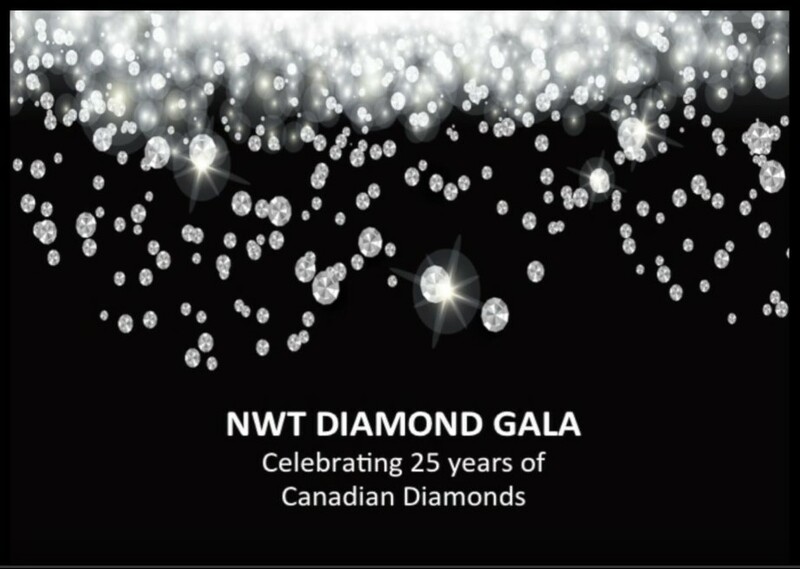 The 25th Anniversary was also celebrated with a sold out NWT Diamond Gala event held in Yellowknife on November 17, 2016. 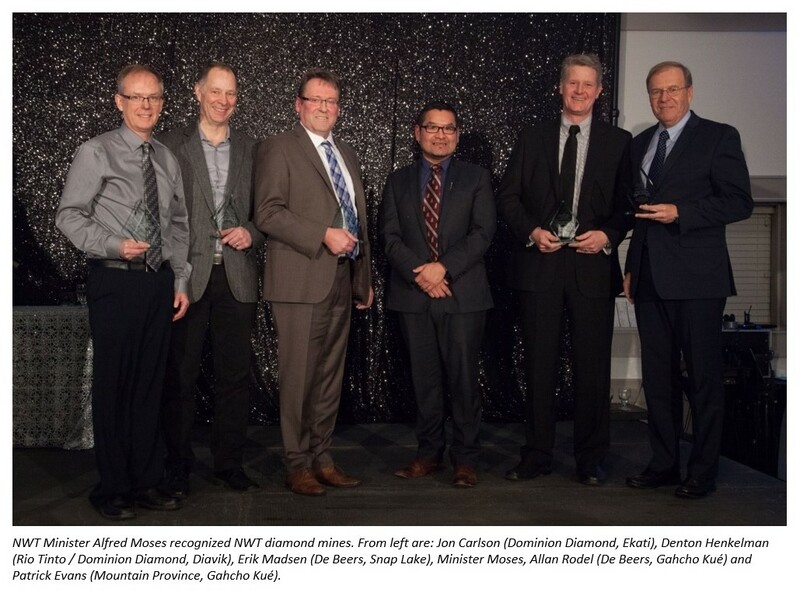 Recognition was given to key diamond deposit discoverers, diamond mines, and Aboriginal governments by the Premier of the Northwest Territories and the Minister of Education, Culture and Employment on behalf of the Minister of Industry, Tourism and Investment. The first slide show describes the history of diamond exploration and discovery in northern Canada. The second slide show is a historical look back to construction and operation of the diamond mines. 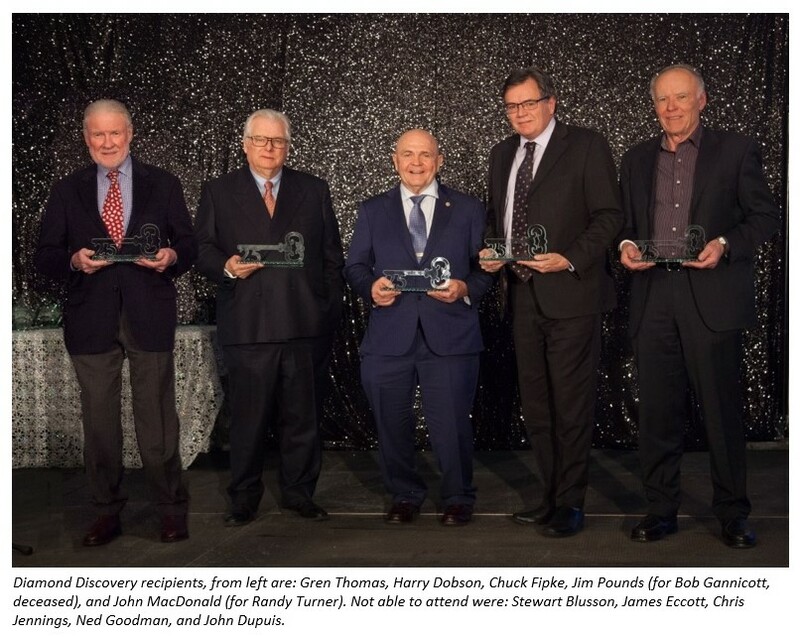 The Honourable Robert R. McLeod, Premier of the NWT recognized and thanked the individuals who are considered key to the discovery and early development of the diamond deposits. 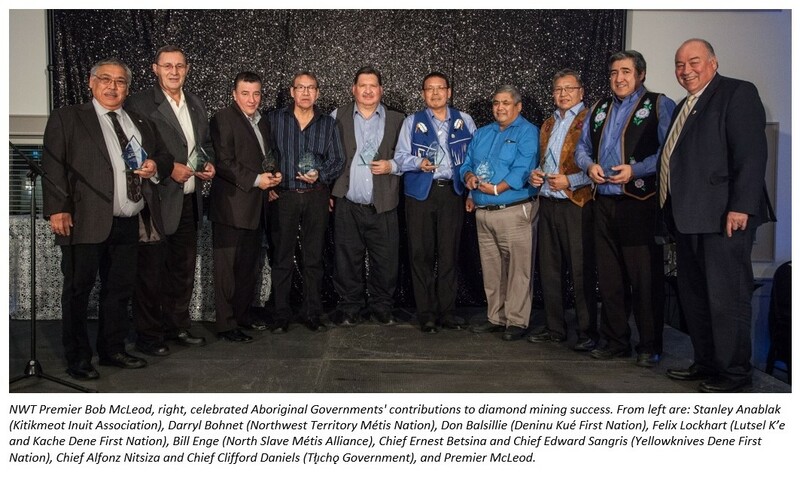 The Honourable Alfred Moses, NWT Minister of Education, Culture and Employment, recognized the significant benefits the four NWT diamond mines have provided to the North (see also the November 15, 2016 Chamber news release). A Big 'THANK YOU' to our Sponsors! 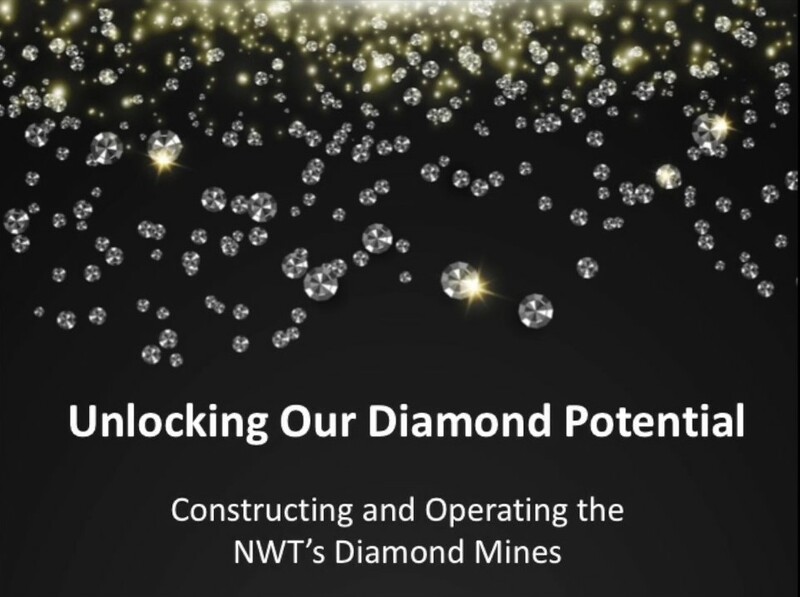 Thank you to the sponsors of the event: the NWT Industry, Tourism & Investment, Dominion Diamond Corporation, Diavik Diamond Mines Inc., De Beers Group of Companies, Kellett Communications, Aboriginal Business Quarterly, Olivut Resources, the Nuna Group of Companies, Matco Moving Solutions, Manitoulin Transport, and Crossworks Manufacturing.